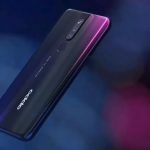 The Oppo Reno leaks have given us a lot of details about the new phone over the past few weeks, but the company has officially pulled back the curtain to reveal the phone and its various models. 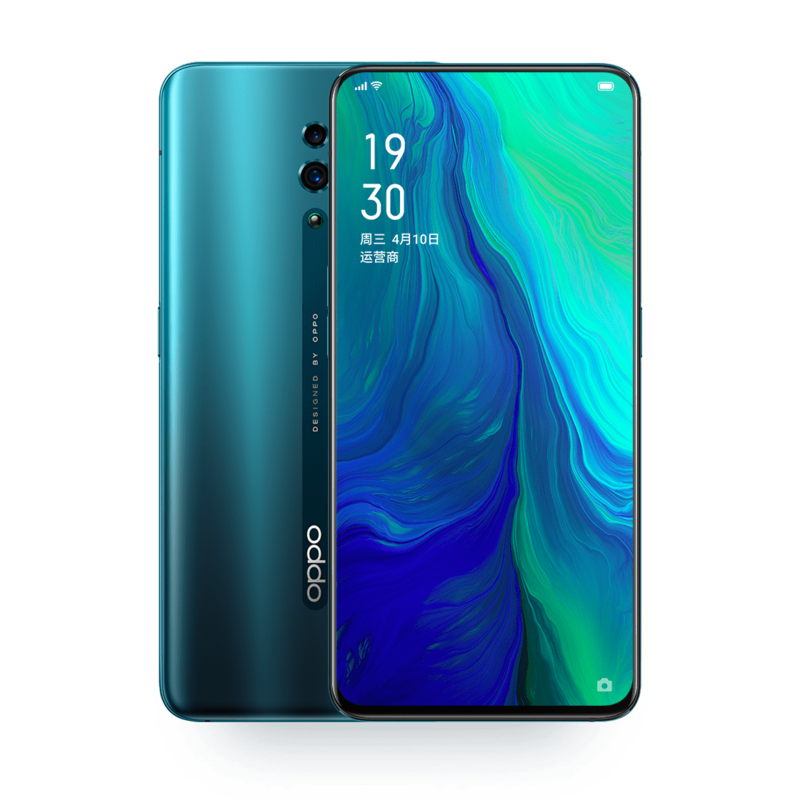 As is the case with most flagship launches these days, the Oppo Reno comes in three different flavors: the Reno Standard Edition, Reno 10x Zoom Edition and the Oppo Reno 5G. The most important device in the new lineup is the Oppo Reno 10x Zoom Edition. 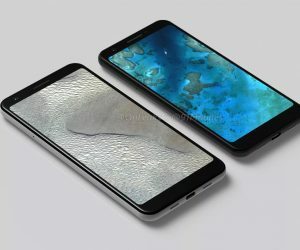 The phone’s main highlights include a Qualcomm Snapdragon 855 processor, 6GB or 8GB RAM options, 128GB or 256GB of storage, a 6.6-inch FHD+ AMOLED display panel which delivers a 93.1 screen-to-body ratio, and a 4,065 mAh battery which charges 23.8 percent faster thanks to Oppo’s VOOC 3.0 fast charging technology. Since those specs are pretty much the same as what we’ve been seeing on all other 2019 flagship smartphones, the camera setup on the Oppo Reno 10x Zoom Edition is what really sets it apart. The phone’s main camera is equipped with a Sony IMX586 sensor which captures images at 48MP with an f/1.7 lens and OIS. 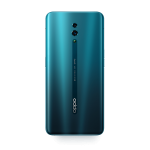 Oppo is also throwing in an 8MP 120-degree ultra-wide sensor and lens and then topping things off with its new 13MP f/3.0 periscopic zoom camera which also features optical image stabilization. The main camera is capable of 4K video recording at 60fps with 3D audio capture thanks to three distinct microphones on the device. For those interested in semantics, Oppo is claiming a 10x zoom range from its 16mm ultra-wide lens to the 160mm focal length of its periscope zoom. As we pointed out after Oppo first announced its new lens system, the math adds up, but users expectations could be different. 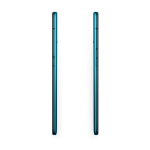 The front-facing camera on the phone is revealed by a wedge which pops up from below the display. Its 16MP sensor is paired with an f/2.0 lens and a flash which should deliver stellar selfies in any lighting conditions. The basic design of the Reno Standard Edition is the same as the high-end Reno 10x Zoom Edition, but its spec sheet has been tweaked significantly to help reduce its price. The Snapdragon 855 has been replaced with a 710 chipset, there’s a smaller 6.4-inch display and a 3,765 mAh battery. The good news is that you’ll have the same 6GB and 8GB or RAM options which are respectively paired with 12GB or 256GB of storage. On the camera front, the Reno Standard Edition loses the ultra-wide sensor and the periscope lens is replaced with a basic 5MP depth sensor. 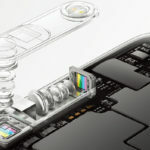 The main camera still uses the 48MP Sony IMX586 sensor, but Oppo has removed the OIS module while adding in EIS. 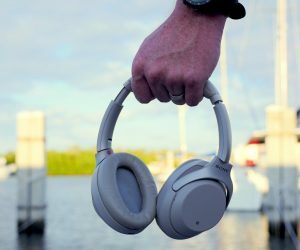 Users will be able to record 4k video at 30fps, but the 3D audio capture feature has been stripped out. 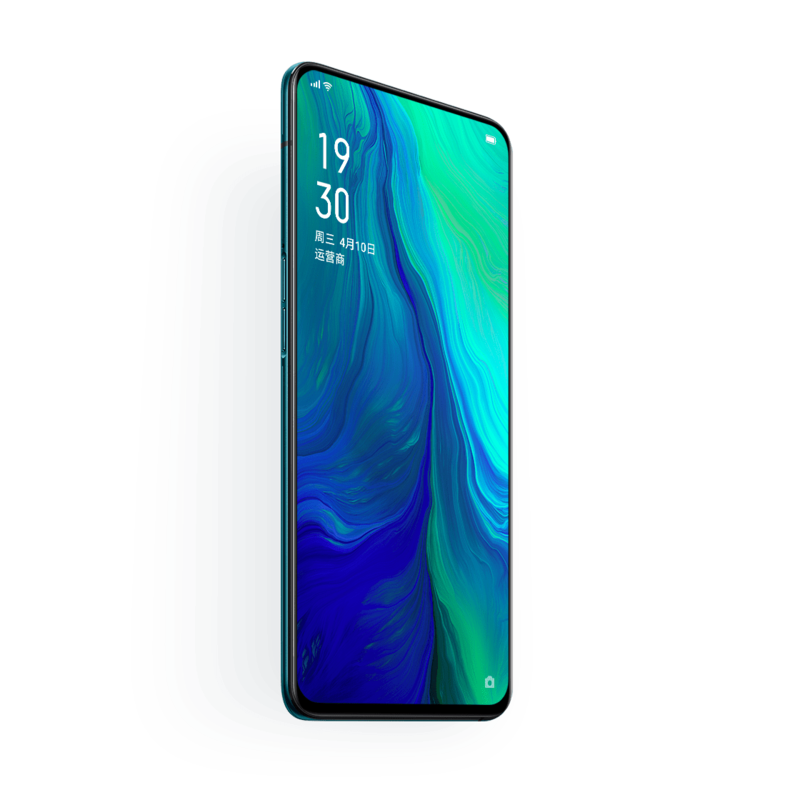 Since this is 2019, the Oppo Reno 5G helps round out the new smartphone lineup. Oppo promised to show off the phone at a future event in Zurich, so it’s unclear exactly what specs the phone will have. 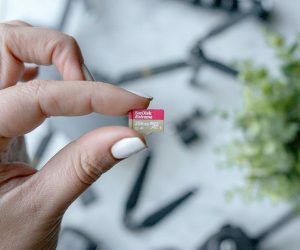 Since Qualcomm’s X50 5G modem only works with the Snapdragon 855, it’s a fair assumption that the phone will use Qualcomm’s most powerful chipset. 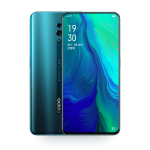 If Oppo is looking to take on the Samsung Galaxy S10 5G, the Reno 5G will likely have a larger display, battery and all the same cameras as the Oppo Reno 10x Zoom Edition. 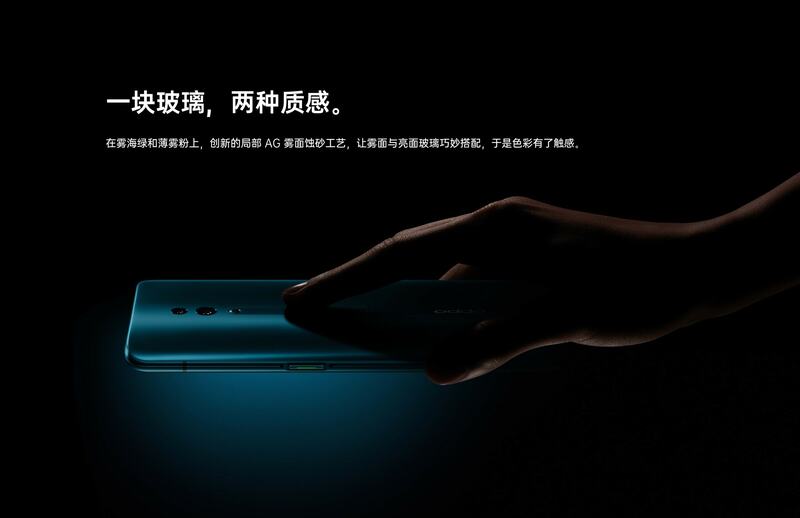 The Oppo Reno Standard Edition will make its retail debut in China on April 19 for 2,999 yuan ($450 USD) for the base model or 3,599 yuan ($540 USD) for those who want 8GB of RAM and 256GB of storage. 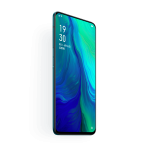 The Oppo Reno 10x Zoom Edition won’t be coming to market until the middle of May, but it won’t be much more expensive than the Standard Edition. 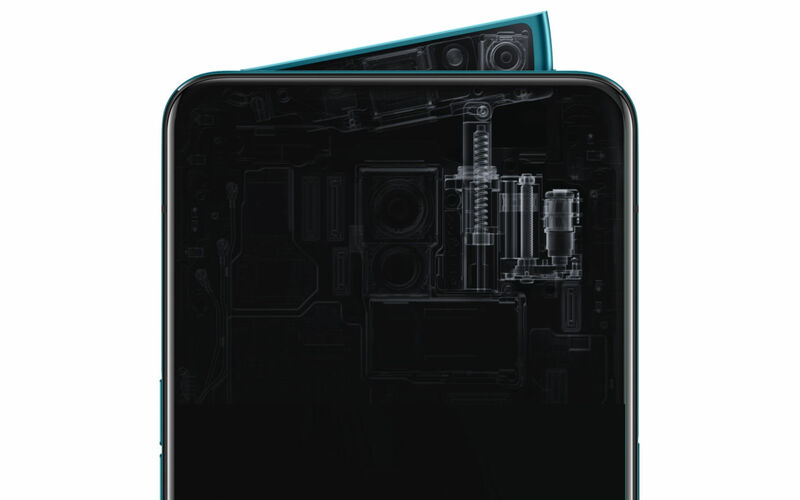 The starting price of the Oppo Reno 10x Zoom Edition will be 3,999 yuan ($600 USD) for 6GB of RAM and 128GB of storage or 4,799 yuan ($710 USD) if you need 8GB of RAM and 265GB of storage. Pricing and availability for markets outside of China will likely be unveiled in two weeks from today. 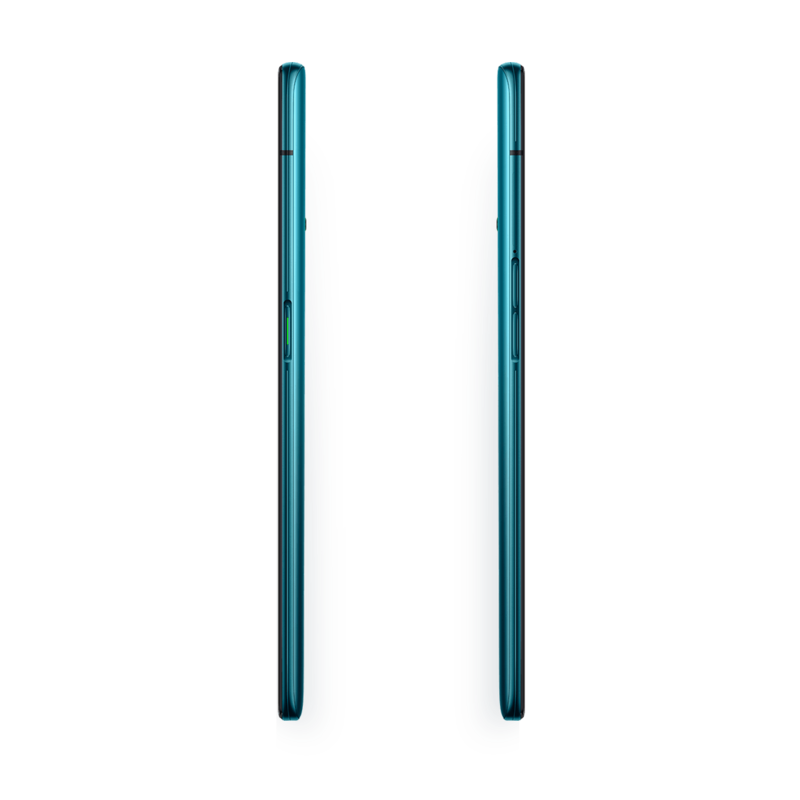 Oppo has a launch event in Europe scheduled for April 24.